What Do Priests Wear at Funerals? 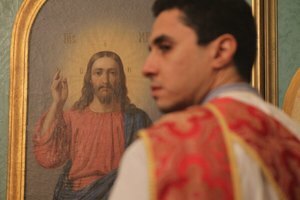 What Does a Christian Priest Wear? The stole is an important part of a priest's vestments. 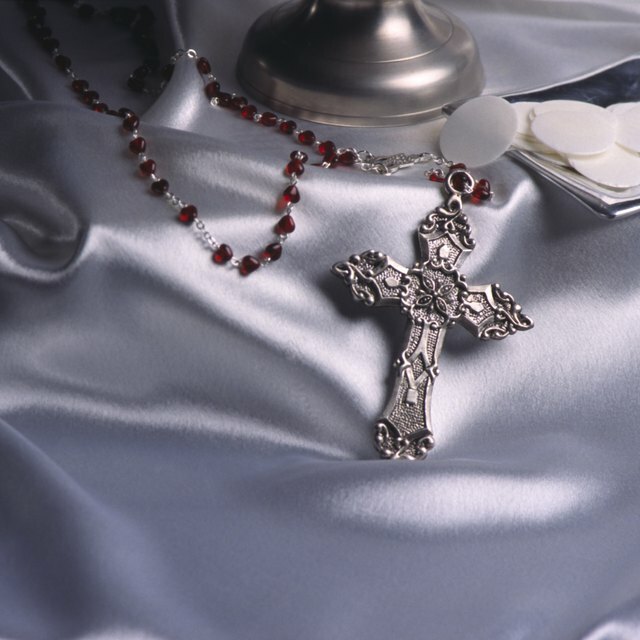 One of the most recognizable parts of the vestments worn by Catholic priests is the stole. This long, thin scarf-like garment hangs over the shoulders of the priest and down the front of the body, usually to the hem of the robe worn underneath. The stole has been a part of the priest's vestments since around the fourth century and is worn to this day. Making a stole for a priest requires some sewing skill and can be either simple or complex in design. Select a fabric color. The right color ensures the right symbolism. Stoles worn by priests differ in color depending on the type of Mass they are celebrating. The usual colors are white, gold, red, green, violet, pink and black. If you are preparing a stole for a certain season or ceremony, verify the appropriate color. For example, red is worn during Pentecost and feasts of martyrs, evangelists and apostles. Black is worn for mourning on Good Friday and for Masses for the dead. Cut the fabric according to the stole pattern you have chosen. Be sure you have a pattern for a priest's stole and not a deacon or bishop, as these differ. 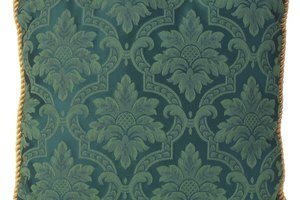 You can find patterns at the Church Linens and Vestments website as found in the references section of this article. Priest's stoles are designed to hang down the front of the body. Deacon's stoles are designed to be worn diagonally across the body and may have a built in method of attaching the two ends like a sash or they may use a pin. The bishop's stole is also worn hanging straight down and is generally made of richer fabrics and patterns than that of a priest of deacon. Sew the stole using your sewing machine and thread that matches the fabric. Follow the directions that come with the pattern. The stole is a relatively simple shape, and requires mainly stitching in straight lines along the edges of the fabric. Attach the fringe edging, available in the ribbons section of your fabric store, along the bottom ends of the stole using your sewing machine. You might need to sew this by hand if the fringe is delicate. Decorate the stole as desired. Embroidery is traditional, but if you do not have embroidery skills use iron or sew-on patches or simply leave the stole plain. Remember that the more important Masses throughout the year usually call for a more decorative stole. Plain stoles are best for regular Sunday Masses. The cross is a common decoration and usually appears in the center where the stole rests at the back of the priest's neck as well as on the bottom of the two ends. The dove, the Holy Grail (the chalice used for the Eucharistic celebration) and the Chi Rho (an ancient Christian symbol) are also acceptable. Symbols and images on the stole should generally be sacred in nature. Not all priests are the same height so cut your stole to fit the priest for whom you are designing it. The stole should fall to the hem of the priest's robes, so measure the length from shoulder to hem and also around the neck to ensure there is enough fabric for proper draping. Episcopal priests as well as some other pastors and ministers also wear stoles. 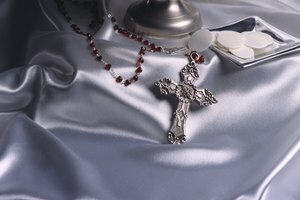 If you are making a stole for a different denomination other than Catholic, research the correct colors and symbolism first. Why Is the Communion Table Covered? Kasperowicz, Leslie. "How to Make a Stole for a Priest." 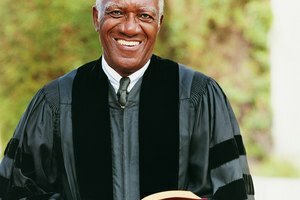 Synonym, https://classroom.synonym.com/how-to-make-a-stole-for-a-priest-12083914.html. 29 September 2017.